With just a few common household ingredients, you can make cheap fake blood suitable for Halloween celebrations or theater productions. 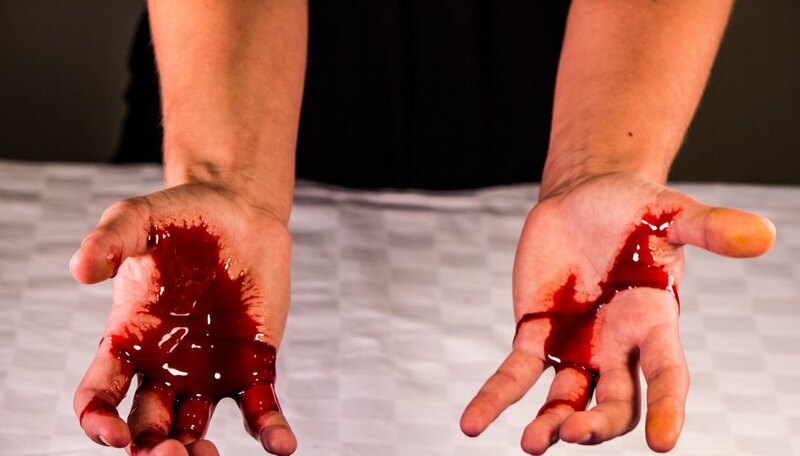 Even edible stage blood can be made at home, and the results are chilling. With the help of a little fake blood, costume vampires can reveal blood-soaked grins and fictional serial killers can appear on stage covered in the red aftermath of their crime. The only limitation is your own imagination. 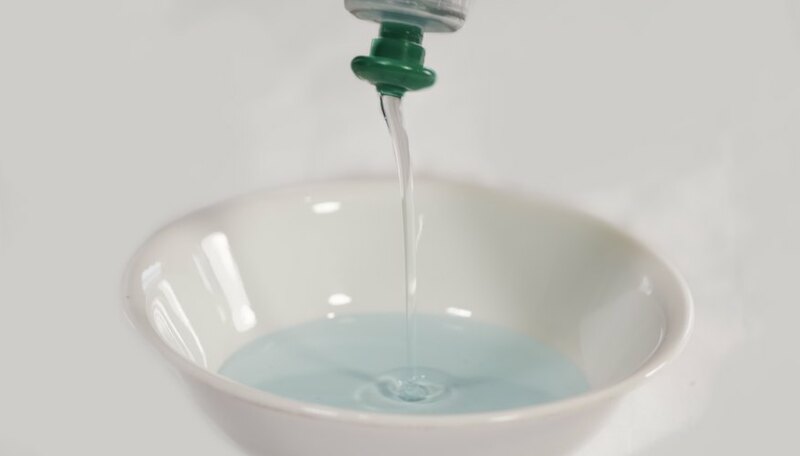 Pour dishwashing soap into your mixing bowl. Add the chocolate ice cream syrup. 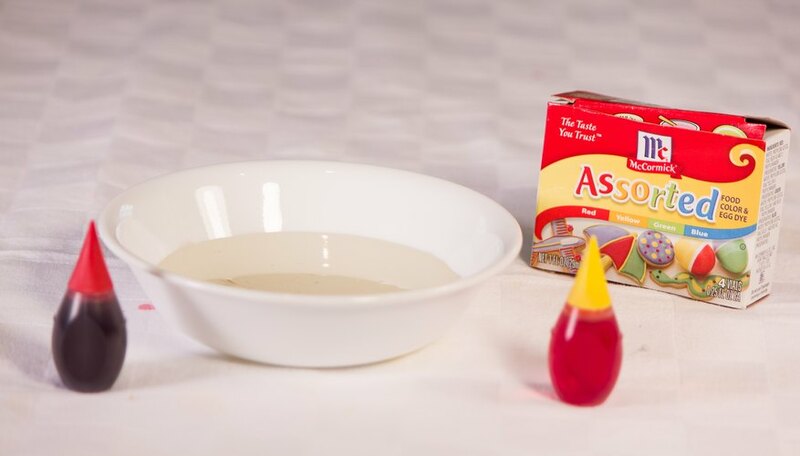 Stir the soap and syrup mixture using a spoon or craft stick until the two ingredients are completely combined. Add strawberry ice cream syrup for coloring. Start with a tablespoon and slowly add more until you’re happy with the shade. Dab a little of the fake blood on your hand to test the consistency. If it’s too thick, add water. If it’s too thin, add more chocolate syrup. 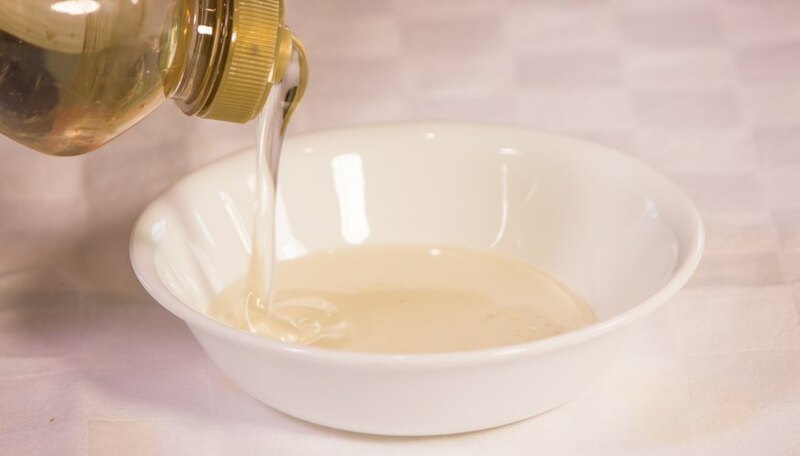 Pour the corn syrup into a mixing bowl. Add 1 tablespoon red food coloring and 1 tablespoon yellow food coloring. Using a spoon or craft stick, mix all your ingredients together until the color is consistent. You shouldn’t see any streaks. Test the blood mixture on the back of your hand. Move your hand so you can see if the blood runs too easily or tends to stay in place. Be careful: this recipe stains clothes. If you need a thicker edible fake blood that will stay on your actors and not run off, try adding peanut butter to your mixture. It’s still edible and it will stay in place. 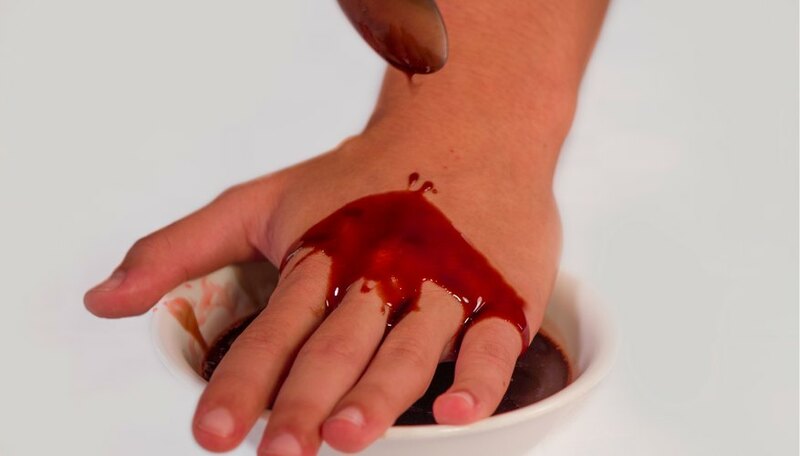 If you wish to make fake blood ahead of time and use it later use the edible recipe, store the finished product in an airtight container and keep it in the refrigerator. The mixture will keep for a few days. Blood isn't always stark red. For example, old blood tends to turn brownish. Experiment with different hues of food coloring to create the right look.